Shortly after Hobby Lobby’s win at the U.S. Supreme Court, pro-abortion proponents took to social media, calling the high court’s decision a war against women. Opponents argued that the court ruling gives employers the ability to deny employees coverage of birth control and related health care benefits, and some even suggested explicit types of protests against Hobby Lobby stores. But as arguments against the Hobby Lobby case are shrouded in women’s rights and birth control, few realize that the arts and crafts store, owned by Evangelical Christians, does in fact provide contraception coverage. Hobby Lobby currently covers 16 out of the 20 drugs mandated under the Affordable Care Act. So, the entire notion that the U.S. Supreme Court Burwell v. Hobby Lobby decision tramples on the rights of women to receive contraception coverage from their employers is faulty. Hobby Lobby’s owners, the Green family, does not object to cover most contraceptives listed in the Obamacare mandate; however, the family does object to providing coverage to abortaficients and devices that threaten the life of an unborn child. 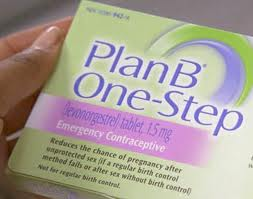 The four drugs Hobby Lobby objects to in the list of 20 are Plan B, Ella, the morning-after-pill and the week-after pill. The Green family argues that covering abortion inducing drugs violate their religious belief that life begins at the moment of conception. In addition, Hobby Lobby has never attempted to stop women from obtaining an abortion. The Green family simply refuses to pay for drugs that could cause an abortion because of religious convictions. In fact, the chain store will continue to offer contraception coverage for its employees–just not drugs or devices that have the ability to end human life.